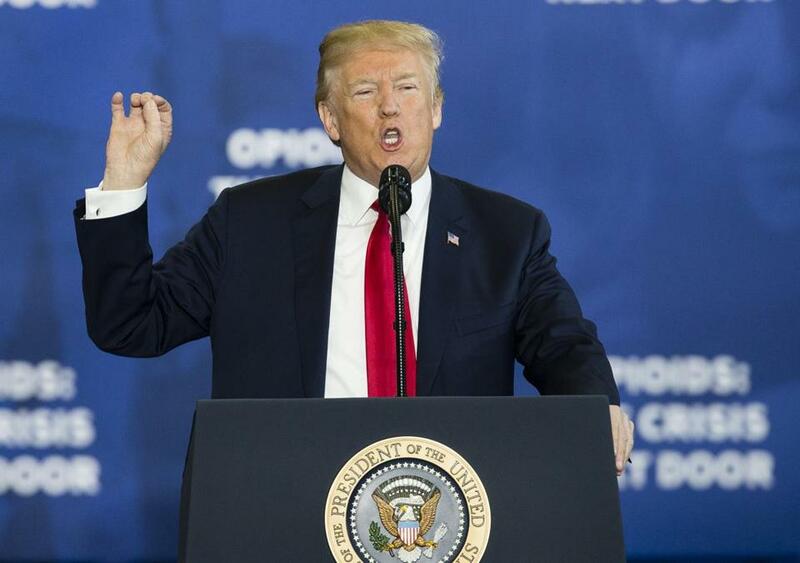 On Monday, President Trump delivered a speech in Manchester, N.H., about his administration’s plans to combat the opioid crisis. It’s surreal hearing President Donald Trump talk about my hometown, but his rhetoric is too familiar. 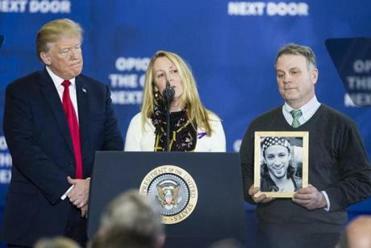 Trump called the city of Lawrence, and other sanctuary cities, “safe havens for just some terrible people,” particularly opioid pushers and MS-13 gang members. By the 1990s, violent crimes and car thefts were rampant, and Lawrence established itself as a “drug mall,” a place out-of-towners came to get their fix. Of course, the city was also hobbled by racial and economic segregation. As Llana Barber noted in her book “Latino City,” a study of Lawrence from 1945 to 2000, 1990s Clinton-era welfare reforms not only targeted poor people of color but, at the state level, reforms also sought to dissuade more immigration to the Commonwealth. Meanwhile, most of the local wealth and jobs were still concentrated in the suburbs around Lawrence. Lawrence was also politically dominated by an elderly white voting base who did little to support the younger Latino population. By 1993, Lawrence had to rely on mostly state funding to support its impoverished public schools, but residents themselves, as a tax base, were too poor to fund any escape from the need for constant outside aid. But in the case of the opioid epidemic, it feels myopic to discuss crime and not treatment, to blame one city and not discuss regional approaches — an attitude Lawrence Mayor Dan Rivera voiced in his response to Trump’s comments. We concern ourselves with the recent wave of addicted white people and not the fact that Lawrence has been discarded, neglected, and ignored, a municipal outcast, for 60 years. But white folks in power have never been concerned about black and brown communities unless their problems spill over. And when they spill, the reaction too often is to crack down: detain them, deport them, contain them to their borders. Lawrence is the latest stand-in for the image of a brown community menacing hardworking whites. Remember that Governor Chris Sununu of New Hampshire also blamed Lawrence for his state’s fentanyl problem a year ago. Ultimately, Trump’s remarks aren’t about Lawrence. They’re about rallying confused, frustrated white people — not just the poor ones — and giving them some semblance of answers and actions. It’s an old song for Trump, an older one for Lawrence, and the oldest song for immigrants. It’s time to spin a new record. Alejandro Ramirez is the editor of Spare Change News.